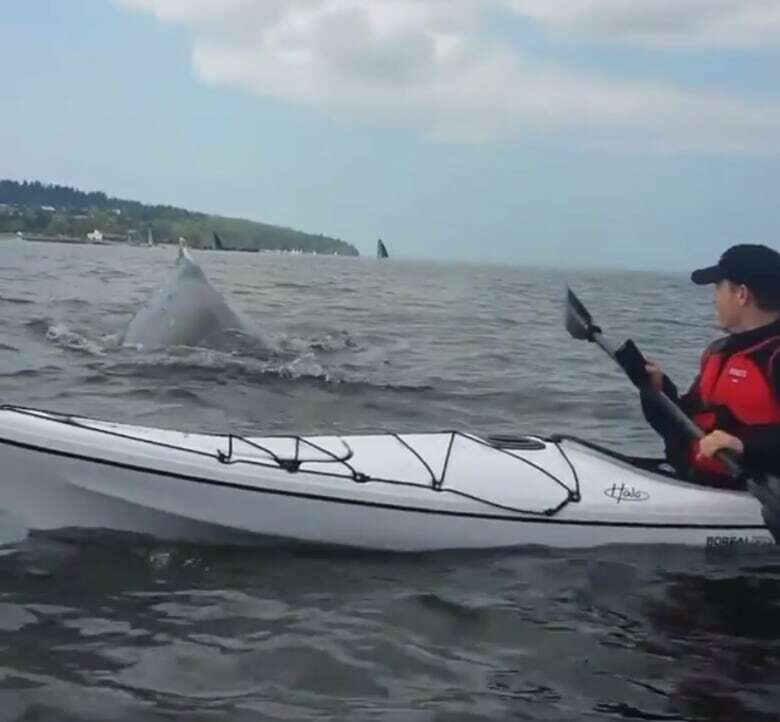 Meeting a humpback whale up close was an Instagram-worthy "bucket list" moment for Vancouver kayaker John Olynyk, but don't try to replicate it. It was an Instagram-worthy "bucket list" moment and the most amazing wildlife encounter John Olynyk has ever had. But don't, he implores, try to replicate it. On Sunday, Olynyk and his kayaking buddy Wade Peeler put in at Spanish Banks beach in Vancouver, planning to go looking for the humpback whale he'd been keeping an eye on for days. Olynyk first spotted the whale last Thursday; he was biking around Stanley Park and the whale was feeding off Third Beach. Friday and Saturday, the humpback was still cruising the harbour, so on Sunday, Olynyk and Peeler hit the water. "We paddled over, keeping our distance," said Olynyk in an interview. Humpbacks spend most of their time underwater, of course, but the paddlers could gauge the whale's general area from telltale birds swarming above the water and fish jumping from below — as well as the occasional spray from its blowhole. They'd been watching the whale circle for hours, taking so many videos Peeler had stopped to delete some files from his phone, when they were startled by a blow metres away. "Oh my god!" you can hear Peeler say in the video, stunned as the massive whale dove under his kayak, flashing a fluke that looked almost as wide as his boat. "I almost dropped my phone!" he laughed. In interviews with CBC after Olynyk's Instagram video went viral, the pair say the whale approached them. "I was sitting still. I had no intention of getting that close," said Peeler. 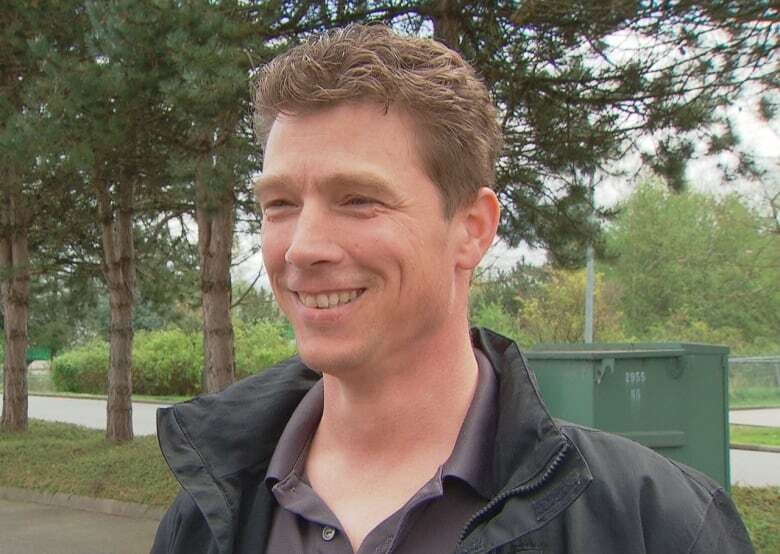 Getting that close to a whale is a bad idea — for you and the whale — says a marine mammal research biologist with the Vancouver Aquarium. "I would have probably peed my kayak, I would have been that scared," said Carla Crossman. "When I'm watching that video, I'm just waiting for the tail to hit his kayak because that is far too close to be in a kayak." 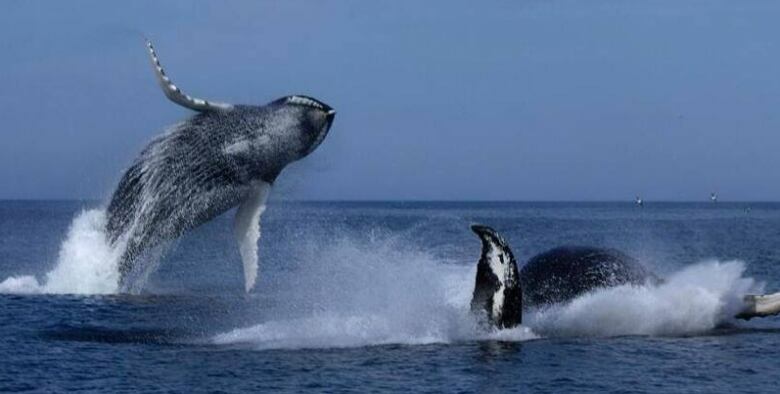 Humpbacks weigh 20 tonnes on the small side and are among the most acrobatic of whales, heaving their whole body out of the water in a breaching aerial display. You don't want to be in a little boat when that hits the water. Approaching a whale closer than 100 metres is also against the "Be Whale Wise" guidelines — even in a kayak. Paddlers don't make the noise that powerboats do, but their presence can still disturb the whale, Crossman said. "Anytime you're getting that close, the whale knows you're there and could be and probably are interfering with their natural behaviours." For a humpback in B.C., that natural behaviour is feeding on herring and other small fish, storing up blubber for the winter and their massive seasonal migration south, said Crossman. "Whales need to eat ... that's what they're here for and we really don't want to get in their way." The kayakers said the whale had been some distance away from them, more than 100 metres, and they had no idea where it would pop up next. "We were lucky and I wouldn't condone the idea of paddling up to a whale, that's for sure," said Olynyk. A longer YouTube video of the encounter, one of many they took that day, shows 30 seconds of the paddlers doing nothing, with no whale, before it surfaces next to their boats. Still, Olynyk had hoped for one of those encounters so popular on YouTube when he started kayaking a year and a half ago. "That was definitely a bucket-list moment. Definitely my greatest wildlife encounter, hands down." Crossman says you can get that, and keep your distance. "I guarantee you if you're in a kayak and a humpback whale is 100 metres away, it's still going to be incredible. You'll still get amazing pictures, and it will be one to talk about for the rest of your life." If you see a whale, you can help scientists learn about the animals by reporting the sighting to the B.C. Cetacean Sightings Network on their website, by calling 1.866.I.SAW.ONE (1-866-472-9663), or using the Whale Report app.